Jawaharlal Nehru University's Gender Sensitisation Committee Against Sexual Harassment (GSCASH) was replaced by Internal Complaints Committee (ICC) recently by the administration. New Delhi, September 21: Jawaharlal Nehru University (JNU)' s Gender Sensitisation Committee Against Sexual Harassment (GSCASH) was replaced by Internal Complaints Committee (ICC) recently by the administration. Ever Since the JNU administration announced the decision in a circular that was issued by the Registrar, the students and teachers were up in arms against the move. A section of teachers and students from the university approached the Delhi High Court yesterday challenging the administration's decision and court heard the petition today. According to a JNUTA official, the judge was convinced by the arguments by senior advocate Indira Jaising, who appeared for the teachers and the students and has given an order that the GSCASH Office will remain sealed until the next date of the hearing which is October 30. GSCASH, Gender Sensitization Committee against Sexual Harassment, is the body constituted by JNU in 1999. It was formed on the recommendations of the Working Group on Sexual Harassment in 1997. The Rules and Procedures of the Committee were approved by the JNU Executive Council in 2001. As per the rules, it implements the Jawaharlal Nehru University Policy Against Sexual Harassment (1999) as also the guidelines laid down by the Supreme Court of India, in its ruling on the Writ Petition (Criminal) Vishaka vs. State of Rajasthan (1997) on the prevention and deterrence of sexual harassment at the workplace. Since then, there have been modifications as per the newer developments such as SAKSHAM guideline by UGC (2013), Justice Verma Committee Report and Sexual Harassment of Women at Workplace (Prevention, Prohibition and Redressal) Act (2013). Because of the nature of its work, GSCASH drew attention from different agencies, and is one of the most important bodies within the campus. Gender Sensitization and Orientation, Crisis Management and Mediation, and Formal Enquiry and Redressal are major functions of GSCASH. Rules and Procedures under GSCASH, apply to all students, teaching and non-teaching staff on active rolls of the University, residents, service providers and outsiders who may be within the territory of JNU at the time of the commission of the act attracting any such violation of GSCASH rules, on the University campus. Any member of the University can be summoned for violating these codes of conduct and/ or disclosing any confidential details. GSCASH serves a notice to anybody concerned if they are found publicizing the details of the complainant, defendant or the cases. The administration had in its 269th Executive Council meeting held on September 18 ordered for dissolution of an independent body - GSCASH-, which has been a model for many universities in India and Bangladesh since its inception in 1999. The JNU Students Union which is flexing arms with the administration on formation of ICC is organising an 'Extraordinary University General Body Meeting' on September 22 with its agenda being 'conduct GSCASH elections' and 'adopt rules and procedures of GSCASH 2015'. According to the UGC provisions on sexual harassment of women employees, ICC would be having members nominated by the administration, whereas GSCASH had all the elected members. The JNUSU condemned the administration move saying it as an 'attack on the autonomous character and democratic composition of GSCASH and replace it with the administration's handpicked nominated members'. "Such attempts to throttle the institution of GSCASH and subordinate it to administrative diktats will be robustly rebuffed," JNUSU president Geeta Kumari said in a statement. According to the JNU website, the newly constituted ICC has six office bearers, Prof. Vibha Tandon - Presiding Officer, Dr. Gautam K. Jha - Faculty representative, Dr. Manuradha Chaudhary - Faculty representative, Mr. Rajiv Kumar (S.E.) - Staff representative, Ms. Rajni Vaid (P.S.) - Staff representative and Ms. Mansi Gupta (NGO Sampurna) - NGO representative now. 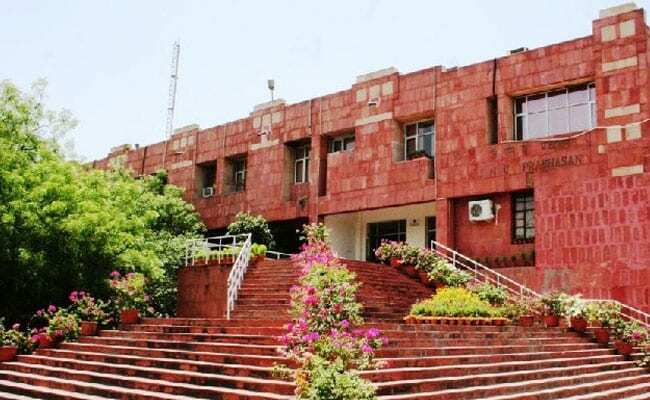 The JNU administration has announced a five-member committee to conduct polls to elect three student representatives for the newly-formed Internal Complaints Committee (ICC), which was constituted after dissolution of GSCASH. The committee is headed by Prof Umesh Ashok Kadam, dean of students, and other being Prof Rajnish K Mishra, Bhaswati Das, Garima Dalal, and Tapan Bihari. Meanwhile, in a statement issued by its leader Saurabh Sharma, the JNU unit of ABVP supported the move to form the ICC. GSCASH against UGC 2015 regulations? Teachers have denied the varsity authorities' claim that the gender sensitisation committee violates the University Grants Commission's 2015 regulations and must be replaced by a complaints committee. They have argued that the Saksham guidelines on gender issues that the commission had adopted were based on the gender sensitisation committee's practices.